Any adult coaching, or wanting to coach, for Norwood Athletic Club, is REQUIRED BY LAW to complete and pass TWO background checks. 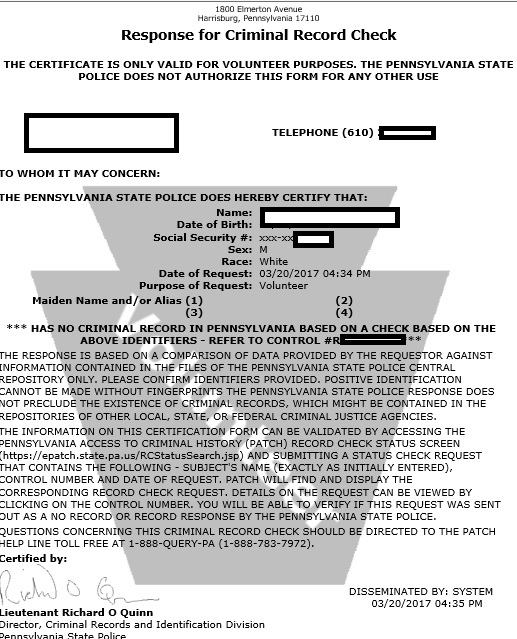 They are the PA State Police Criminal Background Check AND The PA Child Welfare Information Solution (CWIS) Check for a Child Abuse clearance. Every coach, assistant coach, team parent, etc., must create an account for each of these background checks and apply. Upon approval/verification you must submit VIA EMAIL to Norwood Athletic Club a DIGITIAL ADOBE PDF copy of the approval form to ChildSafety.NorwoodAC@gmail.com. You MUST Rename the Adobe PDF FILE AS YOUR NAME! Any submission not named with YOUR NAME will not be filed!!! These approvals will be collected by an NAC Background Check Registrar where they will be filed with the Club. These verifications are FREE and good for FIVE (5) YEARS! Volunteers who have not been cleared through these checks are NOT PERMITTED on the field/gym for games, practices, etc until he/she has applied and passed. 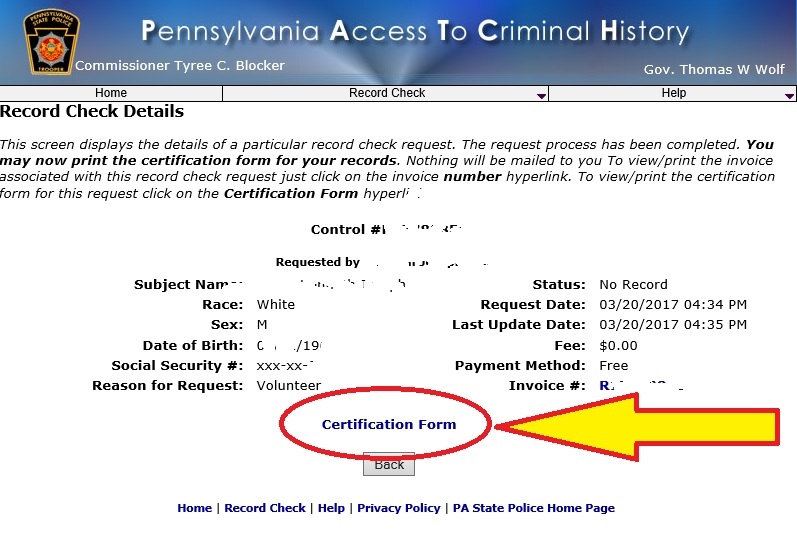 After clicking the Control #, then click "CERTIFICATION FORM." 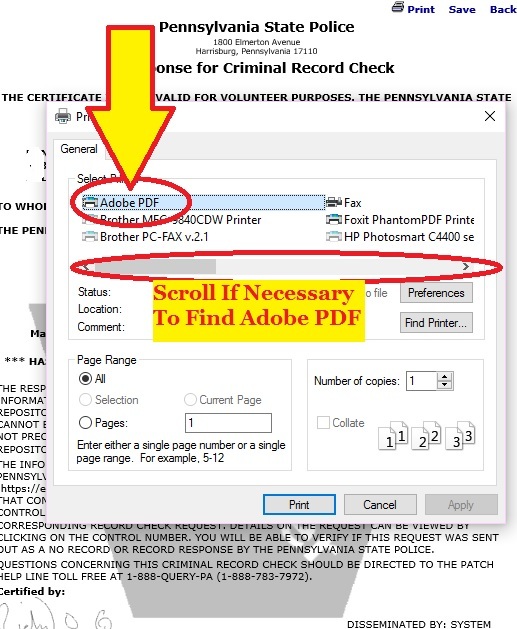 Then simply click on "PRINT" ... and you will need to select the option to "PRINT AS ADOBE PDF" so it saves it to a PDF file ... just select the location on your PC where you want to save it. Then click "CREATE AN INDIVIDUAL ACCOUNT"